From the original Creator’s Bottle Cutter to the ‘Over The Top Bottle Cutter’ and their super handy ‘Bottle Neck Cutter’, they already have a great selection of tools for glass bottle artists. With the new Cyclone Bottle Cutter, you will find that you can easily cut all of your favorite bottles plus it’s an all-in-one package. 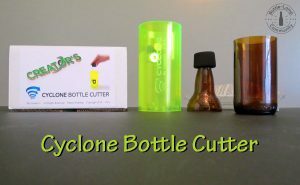 The Creator’s Cyclone Bottle Cutter arrived in a 4″ x 8″ box . 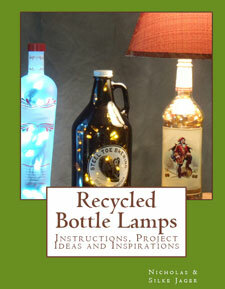 This was already a departure from the previous bottle cutters that Creator’s has made which came in much larger boxes. This might seem like a minor point but I’ve always had it in my head that if I ever wanted to pack a bottle cutter up to take with me on a trip, then this would be an issue. The Cyclone is light weight and easy to assemble. 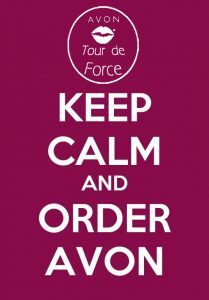 I was up and in running in no time. Have you ever received instructions that looked like they were printed on bar napkins? Not the case here. The Cyclone comes with full 8 1/2″ x 11″ color instructions to make this whole process a breeze. Once again, I appreciate the attention to details that the Creator’s put into packaging all their bottle cutting products. The contents of the box include: The Cyclone Bottle Cutter (neon colored cylindrical tube with the logo etched into it), reducing sleeve, spacer disk, twist a cap, a pair of safety glasses, and a sanding stone. 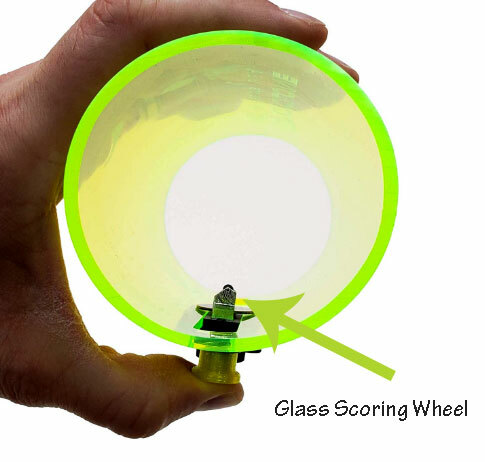 As you can see in the picture below, the scoring wheel comes attached with an adjustable screw to the bottle cutter itself. It is fully adjustable and can be moved to the outside of the Cyclone. I was eager to get started with my new Cyclone bottle cutter so I grabbed just a regular sized beer bottle to begin with. Using the reducing sleeve allowed the bottle to move in closer to the scoring wheel. Since the Cyclone itself is not adjustable, using the sleeve will help with smaller sized bottles. Using the spacer disk is optional, but it makes sense to have it as your base to turn the bottle on. 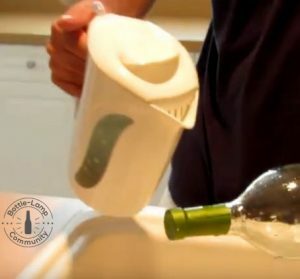 The ‘Twist A Cap’ is a nice touch as well, because you really want to be able to make your bottle rotation in one even smooth turn, if possible. Let’s not overlook one of the most crucial elements for cutting glass and that’s the safety glasses. It only takes a minute to unwrap the glasses that come with this bottle cutter and then put them on. 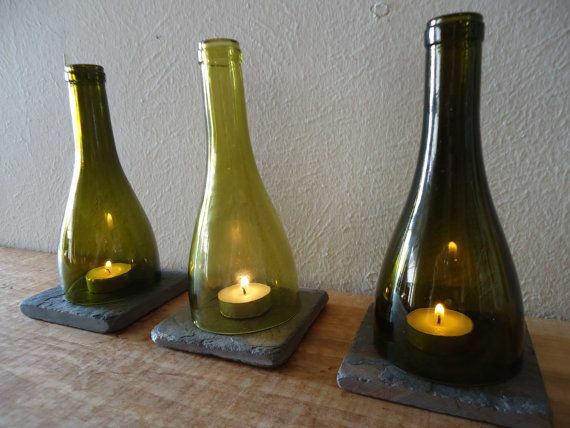 You never know when a bottle might break and glass shards go flying! With all of the components in play the scoring process was done before I knew it. The clear plastic parts allowed me to see where I was at in the rotation of the bottle so there was little chance of over scoring my separation line. Both ends of the score line met perfectly and I was ready to continue with separating. Check out glass separation video on youtube. The perfect break came easily and once again the Creator’s bottle cutter impressed upon me how much easier these bottle cutting projects can be with the proper equipment. For a compact bottle cutter you really have to appreciate how diversified the Cyclone Bottle Cutter is. 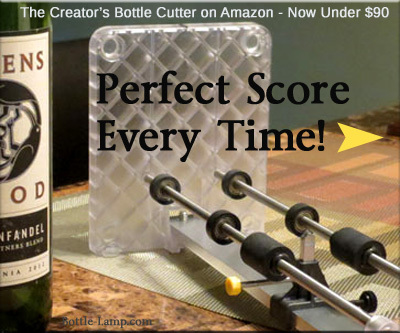 By making a few minor adjustments to the main bottle cutter component (simply remove the cutting wheel and place it on the outside) you will be able to score both larger bottles and square bottles with ease. Multiple parts can make the cutter a little cumbersome to store unless you keep it in the box it came in. This is a very minor inconvenience considering how well all the parts of this bottle cutter work together. Affordably priced and designed for multiple uses, the Cyclone Bottle Cutter is the better bottle cutter in this price range. Priced for a limited time at under $40. Invented, Designed, Sourced, and Made Just For You In The USA! 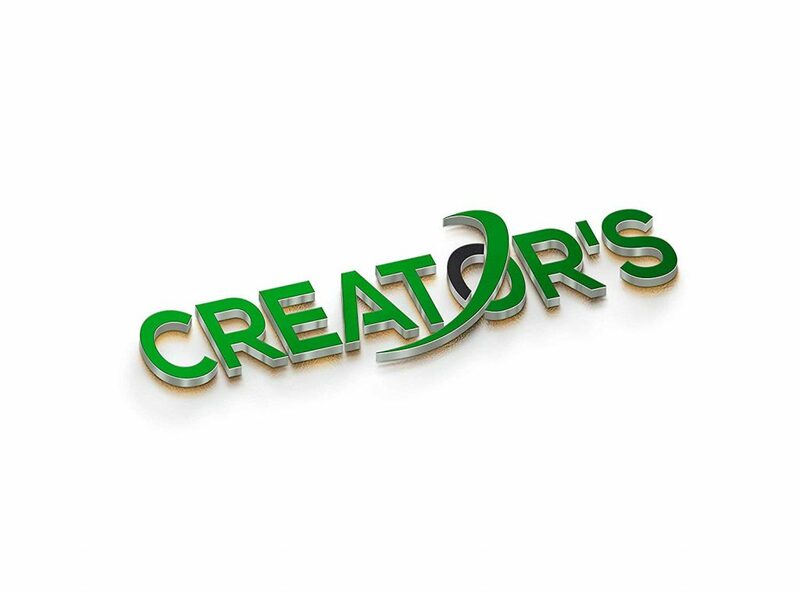 The Creator’s company has been innovating glass tool products for years now. Along with The Cyclone Bottle Cutter they also make the Mouse Ledge, Bottle Neck Cutter, and the Glastopper Bottle Stems. 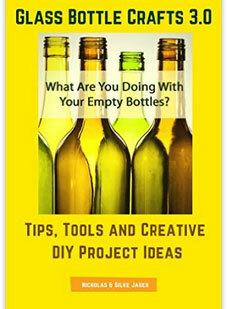 We would like to thank Ray the Creator for sharing his new bottle cutting tool.